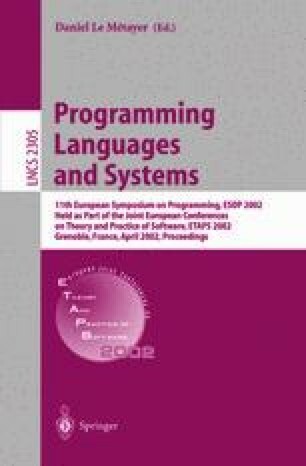 This paper studies the semantics of failure in distributed programming. We present a semantic model for distributed programs that use the standard sockets interface; it covers message loss, host failure and temporary disconnection, and supports reasoning about distributed infrastructure.We consider interaction via the UDP and ICMP protocols. To do this, it has been necessary to: • construct an experimentally validated post-hoc specification of the UDP/ICMP sockets interface; • develop a timed operational semantics with threads, as such programs are typically multithreaded and depend on timeouts; • model the behaviour of partial systems, making explicit the interactions that the infrastructure offers to applications; • integrate the above with semantics for an executable fragment of a programming language (OCaml) with OS library primitives; and • use tool support to manage complexity, mechanizing the model with the HOL theorem prover. We illustrate the whole with a module providing naíve heartbeat failure detection. F. Baker. Requirements for IP version 4 routers, RFC 1812. Internet Engineering Task Force, June 1995. http://www.ietf.org/rfc.html. X. Leroy et al. The Objective-Caml System, Release 3.02. INRIA, July 30 2001. Available http://caml.inria.fr/ocaml/. J. Postel. Internet Protocol, STD 5, RFC 791. Internet Engineering Task Force, September 1981. http://www.ietf.org/rfc.html. A. Serjantov, P. Sewell, and K. Wansbrough. The UDP calculus: Rigorous semantics for real networking. TR 515, Computer Laboratory, University of Cambridge, July 2001. http://www.cl.cam.ac.uk/users/pes20/Netsem/. K. Wansbrough, M. Norrish, P. Sewell, and A. Serjantov. Timing UDP: the HOL model, 2001. http://www.cl.cam.ac.uk/users/pes20/Netsem/.